There are many ways to customize your CommitChange donate button. One of the most subtle and powerful is to create a button using a custom text link, which appeals to your donors as an "ask" that can be focused to perfectly complement your fundraising goals. It is also a method that is often used to showcase specific donation levels, fees, and products nonprofits have to offer. 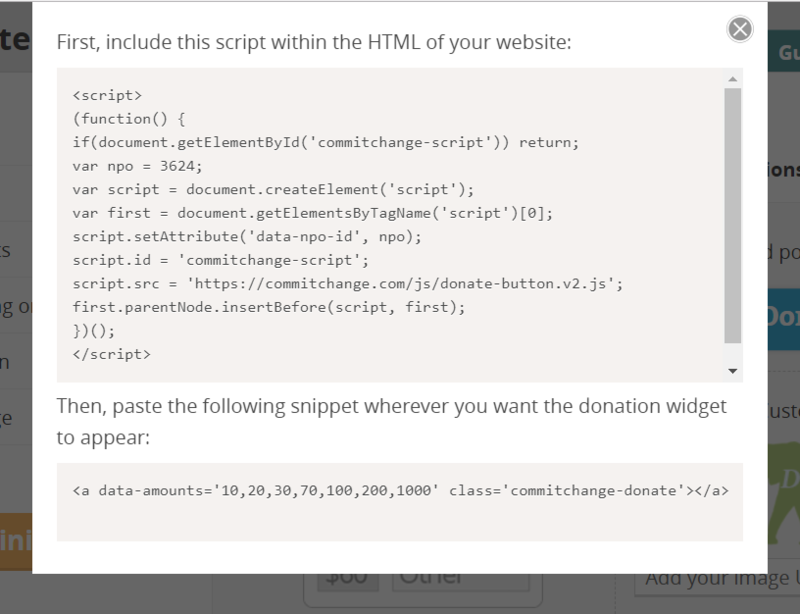 You can build a donate button directly from anywhere within CommitChange. Just click on the Donation Form icon in the left-hand Dashboard Menu. Click on the selection in the menu for the Custom Text Button and type in the text you would like to become a link. 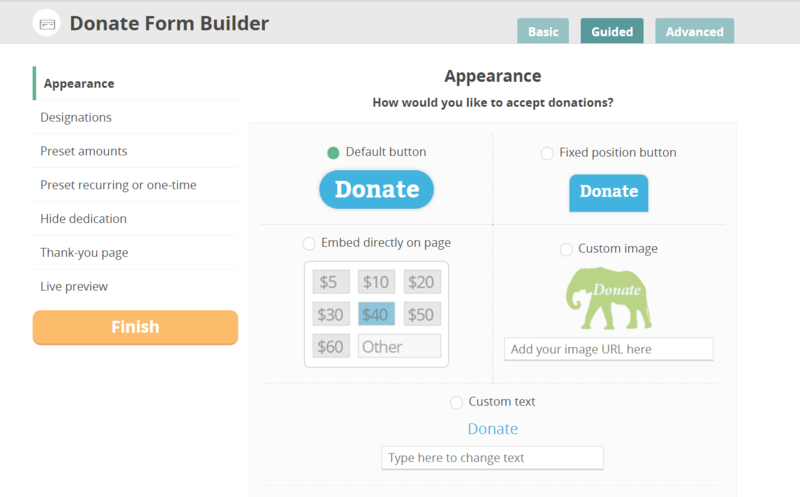 Go through the menu of the builder to set up additional options for your button, like setting a specific designation or redirecting to a custom thank you page at the end of each donation. Click the Finish button to "See the Code" or "Email the Code." If you are implementing the button yourself, copy the code, navigate to the system you use to manage your website, and inject the code into the page you would like a donate button. Make sure that you are able to edit and add to the code for the page (do not paste directly into a "What You See is What You Get" style of editor). If you have a webmaster, "Email the Code" to them to have it implemented on your site. While setting up a Custom Image Button takes a little extra work, it is worth the effort in ensuring that the branding for your site is seamless and recognizable.